Based on Nordic Semiconductor’s nRF51422 SoC, the N5 ANT SoC module series offers support for both ANT® and Bluetooth® low energy and enables both protocols to run concurrently. The N5 ANT SoC module series starts with the M8 type in a 14.0mm x 9.8mm x 2.0mm LGA (Land Array Grid) package. A compact design meeting market requirements for small, light and wearable, the N5 module is a turnkey system hardware solution including antenna, onboard 32k and 16M crystal clocks, DC-DC converter and 24 GPIOs with 6 analogue inputs. SoftDevices are protocol stack solutions from Nordic Semiconductor for the nRF51 SoCs. There are multiple SoftDevice choices available from the Nordic Semiconductor web site. 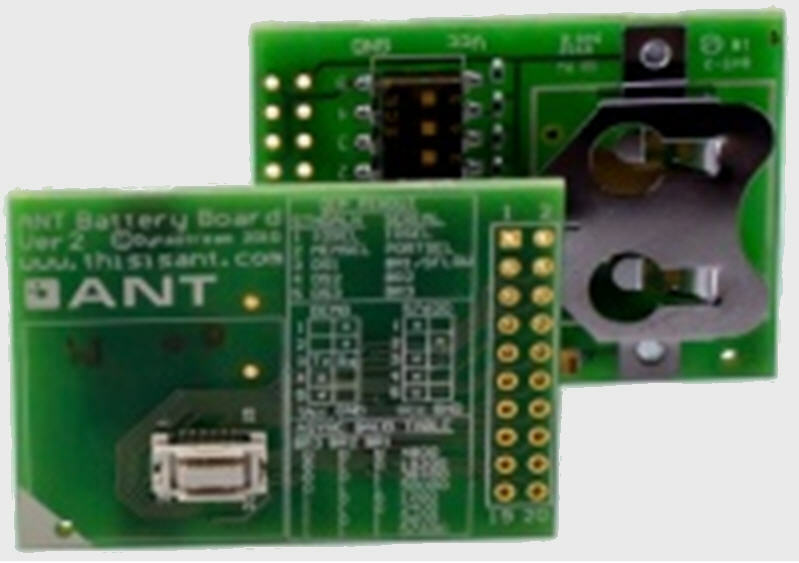 The ANT network processor application offers the standard ANT serial interface front-end that is connectable to an external application controller. The ANT-WP bootloader allows over-the-air updates of any software components on the N5 module. 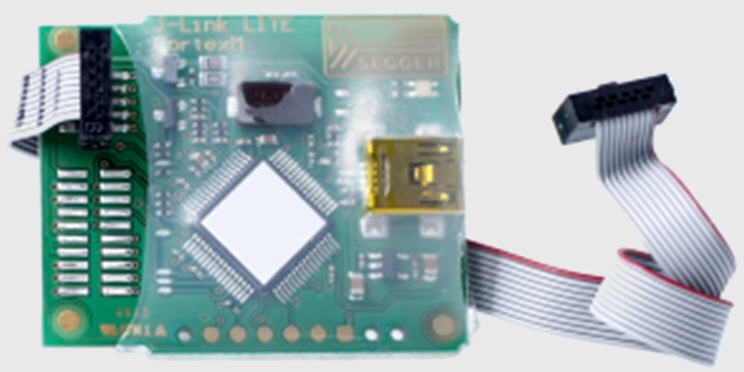 The N5 module pre-programmed image can be easily replaced via the onboard SWD interface pins using off-the-shelf ARM programming tools or over the air using the pre-loaded ANT-WP bootloader. 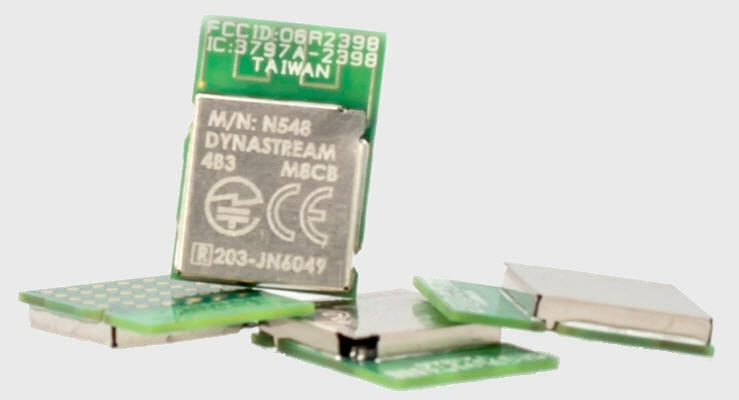 Pin compatible options for the 20mm x 20mm AP2 or C7 modules from Dynastream are also available. In these options, N5 M8 models are soldered on carrier boards that are pin compatible to the previous modules. Current AP2 or C7 module customers can easily use these models to evaluate the hardware and upgrade their final products. The N5 module series, if loaded with ANT and/or BLUETOOTH low energy stack, has been certified to comply with radio regulation or standards covering major markets include North America, Europe, Australia, New Zealand and Japan. The N5 ANT SoC modules series has also been qualified by the BLUETOOTH SIG. 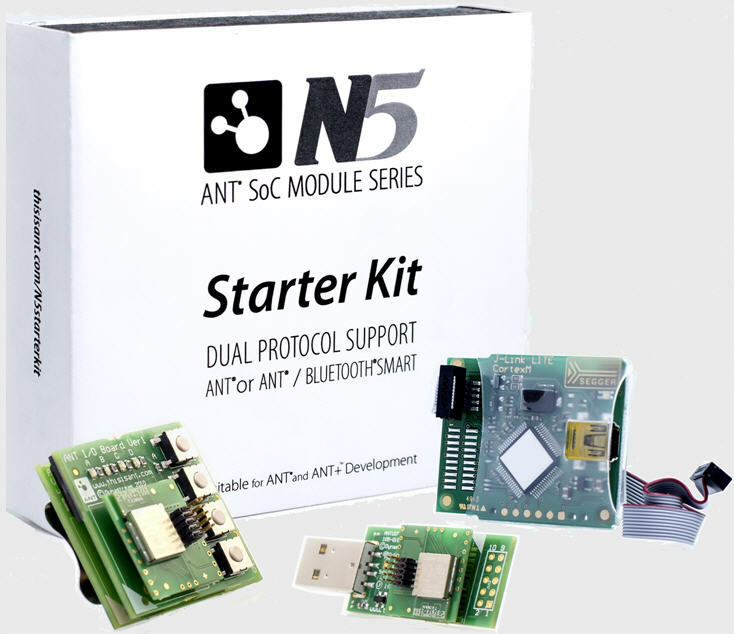 The N5 ANT SoC Module Starter Kit, sold via the same distribution channels, is ideal for out-of-the box evaluation and development. N5150M5CD 20.0x20.0 20 pin Molex connector. 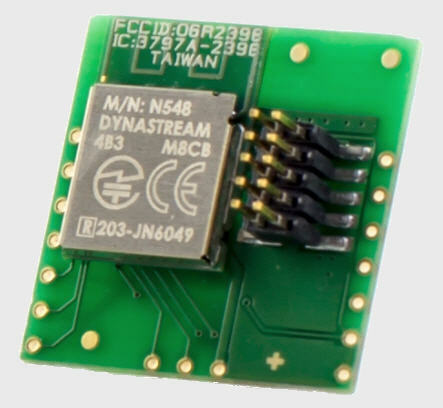 N548 modules have been discontinued and any current use of N548 is recommended to transition to N550 modules. Please refer to the product change notice. N548 rev A modules are loaded with S210 V3.0.0 adn BAW2.02B00 ANT-NP code. 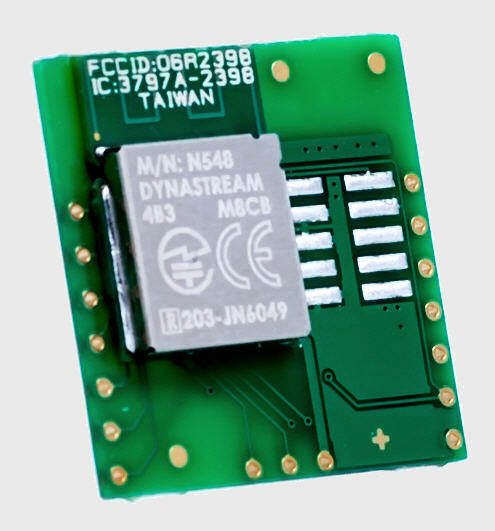 N5 ANT SoC Module Starter Kit contains all the pieces you need to start evaluation and development using the module and/or nRF51422 with freely available manuals and reference code from Dynastream Innovations and all the supporting documents and software by Nordic Semiconductor. The starter kit contains the following hardware pieces. Most of the parts are orderable individually if users need to create a more complex network. Starter kits before the release of N5150M5CD contain N548M5CB instead. The N5 module keeps improving on features and performance. Product model and version is marked on each module as described in the datasheet. N548 module rev A and B are differentiated by the pre-loaded software components. For S210 SoftDevice upgrade details, please refer to S210 v5.0.0 release note in the SoftDevice package. For important details on upgrading the SoftDevice via ANT-WP Bootloader from v4.0.1 to v5.0.0, please refer to the S210 v5.0.0 migration document in the SoftDevice package. ANT Network processor code BAW4.00B00 provides support for configuring the DC/DC converter. For S210 SoftDevice upgrade details, please refer to S210 v4.01 release note in the SoftDevice package by Nordic Semiconductor. The ANT-WP bootloader code, when activated, provides over-the-air firmware update capability using ANT File Share (ANT-FS) technology. ANT Network processor code BAW3.00B00 assigned a previously unused Pin to the new BOOT function. The intent of BOOT function is to assist in updating/replacing the default images on the N548 modules using the ANT-WP bootloader without requiring host microcontroller intervention. The ANT network process application BAW3.00B00 changes the serial interface behaviour. For synchronous Serial Interface: the SPI rate has been changed from 4MHz to 500kHz when SPD_SEL (BR3) is low and SPI rate from 500kHz to 4MHz when the pin is high. This change makes it be compatible with AP2/C7 modules. Besides the downloadables on this page, the following documents and software are available on the nRF51422 product page of Nordic Semiconductor.